Arnold Law, LLC: What is the Liability of an Uber Driver? The landscape has certainly changed hasn’t it? Now you have choices when “hailing a cab”. Those choices include hiring the closest Uber driver. Have you thought about the consequences of what recourse you would have if you were injured in an accident while sitting in the back seat during an Uber ride? You are accepting a ride from a stranger and don’t know a thing about their background. It’s almost like the old days of hitchhiking! 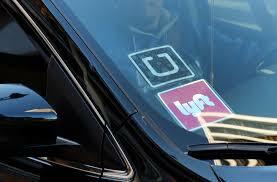 Uber drivers as well as their passengers are covered by a three-part insurance plan. Part three is what you are interested in. If an accident occurs while carrying a passenger Uber provides one million dollars of liability coverage. Whenever the bad fortune of an auto accident befalls you it is imperative to know where to turn. In the Baltimore area that answer is car accident attorney Briana Arnold. In this new era of Uber, Lyft, and any other ride share, you need a lawyer who is on top of automobile injury law. Call Attorney Arnold today for her personal expertise at (410) 484-1400.